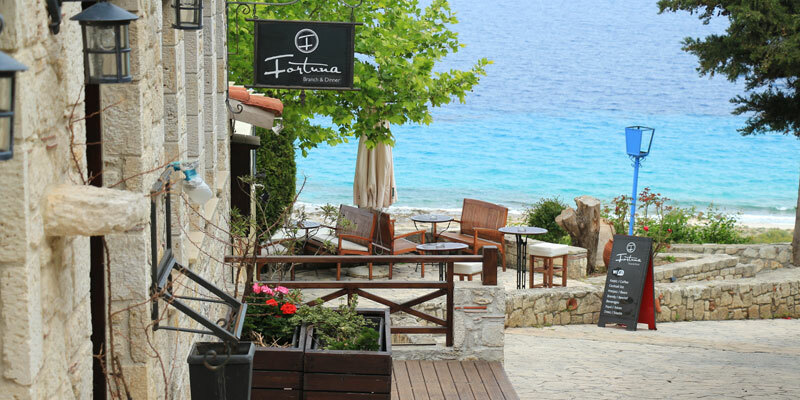 From Sithonia you are in the perfect location to make day trips within Halkidiki. 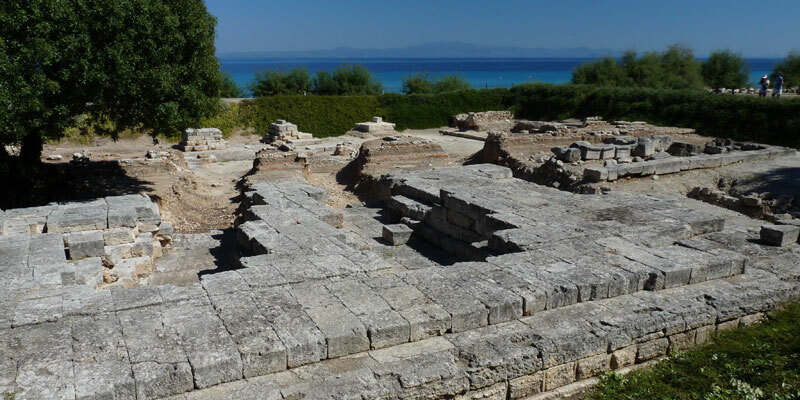 Kassandra is the peninsula to the west of Sithonia and definitely well worth making a trip. There are many things to do such as visiting its beaches and enjoying many of its fine restaurants and beach bars. 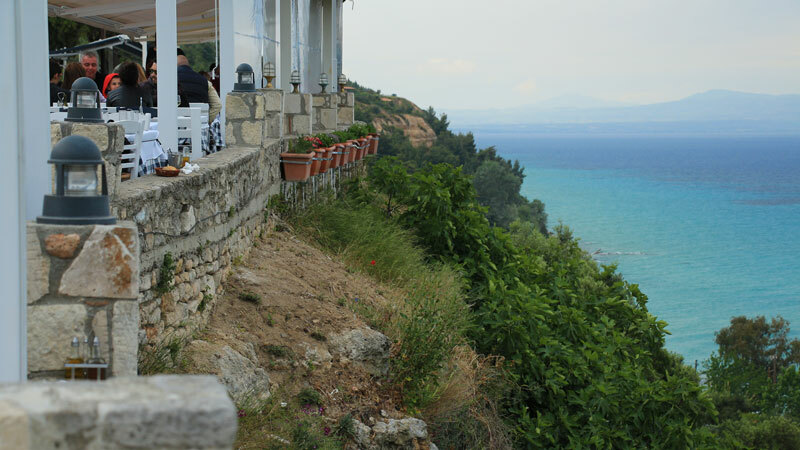 You can pamper yourself with a spa or see some of Halkidiki’s more important archeological sites. Here are just a few ideas to think about…. Afitos is an ancient town with cobbled streets and lots of cafes perched high up on the cliff overlooking the sea with the beach and of course the view of the Sithonia mountains in the background. Afitos a good place to hang out for a day as you wander the streets and get a tan on it’s sandy beach. Get here early as the beach can get shady in late afternoon. Right on the spectacular Kallithea beach are the ancient ruins of Zeus Ammon sanctuary that attract lots of visitors. Understand the connection between the ancient gods of Egypt and Greece as you soak up 5000 years of human habitation. From a vantage point this spa gives you a view over the Aegean from its mineral pool. Relax the day away as you pamper yourself with a massage and enjoy sun and great views. The beaches of Kassandra are also spectacular sandy beaches often more organized than Sithonia but still unregrettable. 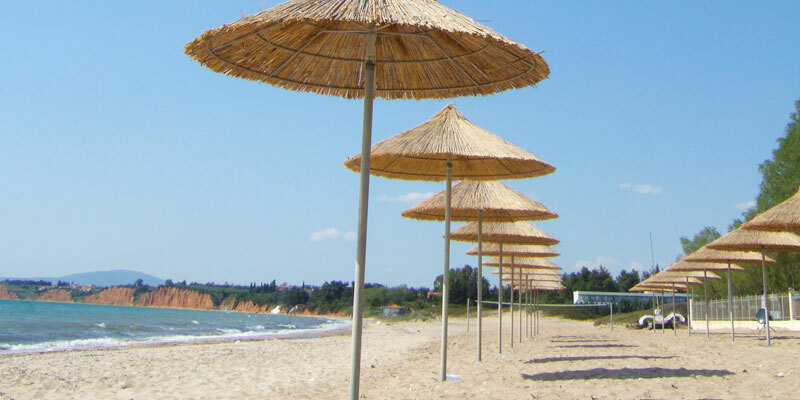 Head south to Possidi beach or enjoy a beach party on Glarokavos beach in Pefkochori. These are just a few idea of what to do when in Sithonia this summer. For more detailed suggestions, take a look here. To get to Kassandra you will need to drive west on the main Thessaloniki highway and there are signs well marked to get you there. A car is recommended as public transportation could take a lot of time so if you don’t have a car, you can easily rent one in any of Sithonia’s main centres. Enjoy your summer vacation in Sithonia, we guarantee you its going to be a great one!